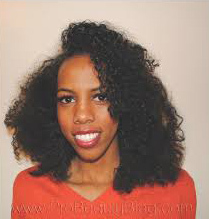 Today, I want to show you how to get a sleek, lasting, straightening out of naturally curly hair. The two most important concerns of working with curly hair on set is  Preventing heat damage to the fragile curls, and  keeping the hair from reverting. Let’s take a look at how I accomplish this! I enlisted the help of my good friend, Hanan, as she has some of the most voluminous, unruly, curly hair that I know of! (Love ya girl, sorry!) Some of the challenges we face with her hair are  It is very hard to make her hair bone straight, and  her hair easily reverts after a few hours or contact with humidity/sweat/rain. These are common challenges with curly hair, but with the new technology in products, these are challenges that we are able to overcome! Having said that, I will ask that, on behalf of the curly hair nation, you pass this article along to your social networks and group emails (and more importantly) to the stylists you know! Now, let’s get into it! We started with Hanan’s hair in its natural, curly state. I then saturated her hair with water, until it was soaking, dripping wet (basically, the whole bottle) and applied two pumps of the Macadamia Natural Oil Healing Oil Treatment, distributing it evenly, from root to tip, with my fingers. This is an important step! The reason I use this product is because of its high silicone content. Silicone is important here because it will coat the shaft, protecting it from heat, but also, will keep moisture out of the hair shaft, thus, preventing it from reverting to its curly state. Macadamia Natural Oil Healing Oil Treatment. 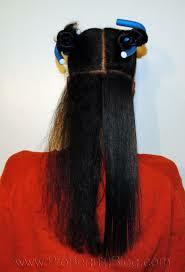 Next, I sectioned the hair into four large sections, and secured them with foam flexi-rods. I use these for curly hair because they are soft and won’t tangle in the hair like clips or rubber bands. They also hold a ton of hair. 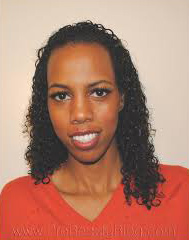 After the hair was sectioned, I slowly, and gently detangled each section with a wide-toothed comb, then re-secured it. Once detangled, I sprayed the first section with the Oribe Royal Blowout Heat Styling Spray (3-4 sprays). 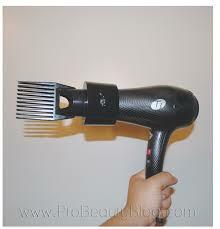 I then used my blowdryer on high speed, but medium heat, and dried each section using the comb attachment. This helped keep the hair from tangling while drying it. It’s important to take time to dry the hair on medium heat, instead of using high heat. 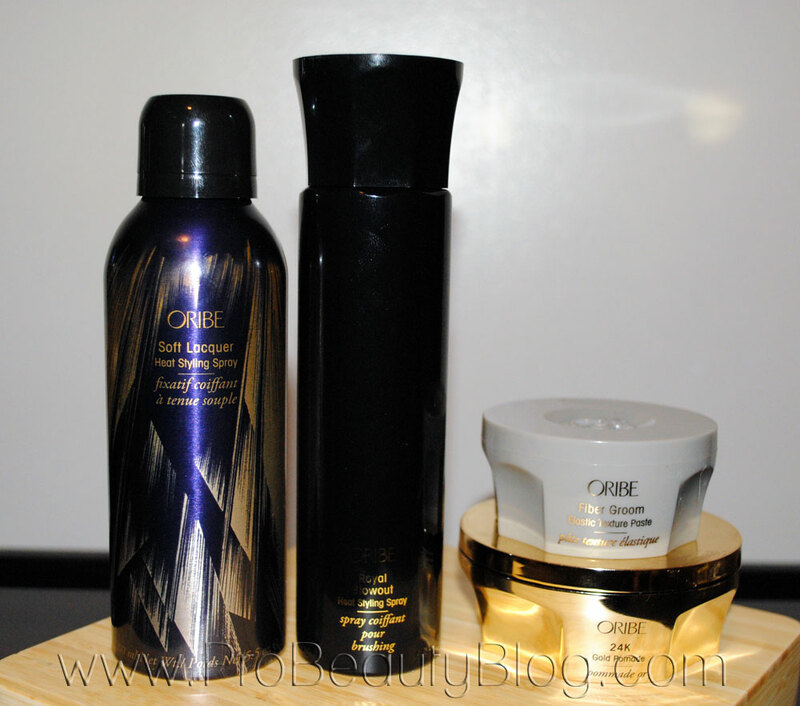 Oribe Royal Blowout Heat Styling Spray. The stuff is AMAZING! 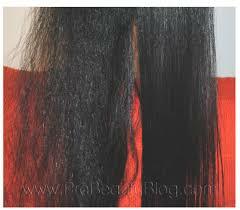 It coats the hair in a layer of shine that is unmatched. It also seals the cuticles and ends of hair, giving them an incredible sleekness that I’ve never seen any product do before. 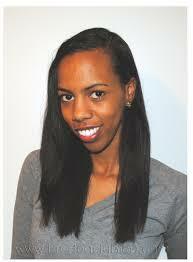 When you first flatiron over it, it makes the hair stiff. It almost feels like plastic. All you have to do is run the comb through it to release the hold. 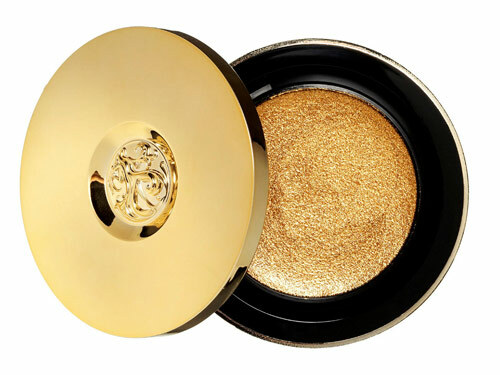 All that will remain is the shine. [NOTE: It will sizzle and smoke when you iron it. This is perfectly normal, and to be expected]. I flatironed the hair in small sections until I was done! I finished off the hair by taming fly-aways with the Oribe Fiber Groom, and running a thin layer of the Oribe Gold Pomade over the hair for added shine and glow! 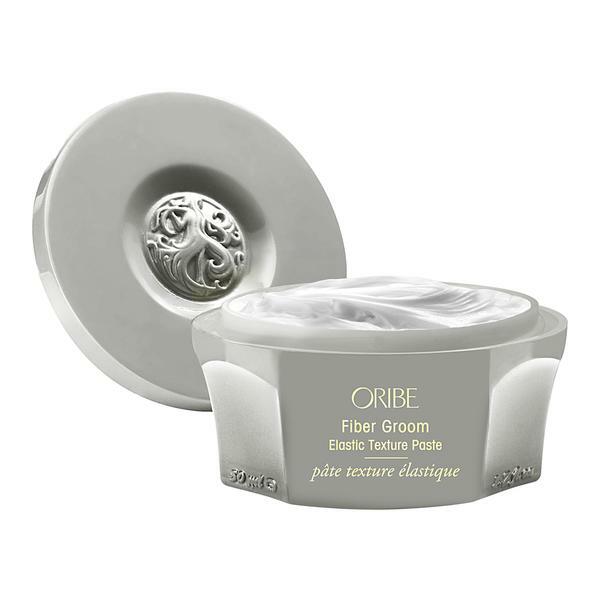 Oribe Fiber Groom and Gold Pomade. Anyway, the process works! And it lasts… Here is Hanan’s hair two days later. It has survived sweating and showers just fine. The hair has not reverted (even on the edges), and she has not had to use heat, at all, for touch-ups! 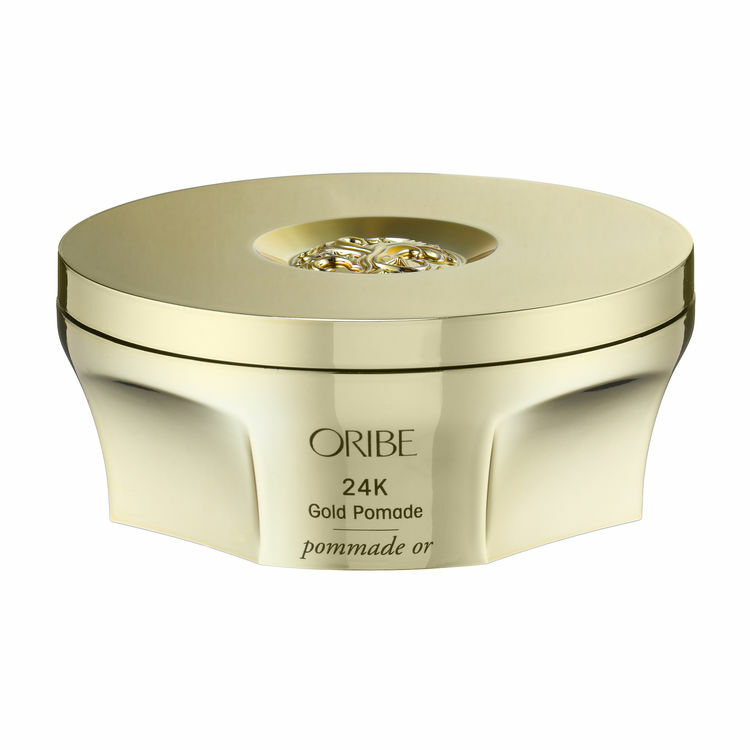 If you would like to purchase Oribe products, click [HERE]. If you would like to purchase Macadamia Natural Oil products, click [HERE].